Having a cat is amazing! Having cat litter tracked all over your house is not. If you think there’s no way to prevent this, we have great news for you! There are a number of things you can do to keep litter from being tracked to other areas of your home. We’ve gathered 16 litter tracking prevention tips to help keep litter where it belongs. Consider what the problem is by using these tips as a guide to figuring out what you can do differently. It may be as simple as installing a litter mat. Keep reading to find out more about how to keep your cat’s litter in the pan instead of on the floor. One of the reasons litter gets tracked throughout the house is that it sticks to the paws and fur of your cat while he’s using the litter box. Then, as he walks around the house, it falls onto your floor. For that reason, the first thing you should consider is the litter itself. If it’s a lightweight litter, it’s more likely to cling to your cat and get tracked to other parts of your home. Heavier litter will have a hard time sticking to your cat and will usually fall back into the box as soon as your cat lifts his paw. Another problem with litter that causes it to get tracked through the house is the small granule size. That’s why you should consider using a pelleted litter. These are typically made of wood or paper, which has other benefits as well. Here’s one of our favorite pelleted litters that won’t track because the pellets are too big to easily stick to your cat’s paws. 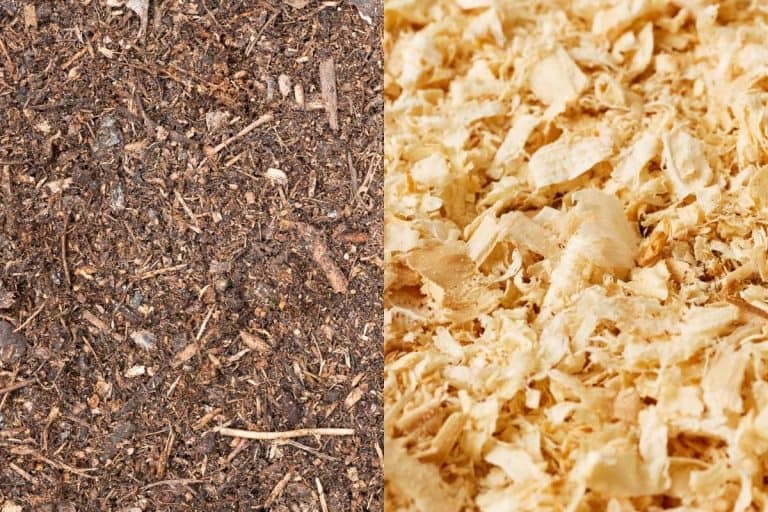 Made only with reclaimed pine, Simply Pine cat litter uses the natural qualities of this wood to trap odors on contact. The only drawback of this litter is that the pellets fall apart when they get wet. These will sometimes get tracked through the house. When litter gets wet from your cat urinating, it’s more likely to stick to her fur or paws if she steps in it on her way out of the litter box. Since soiled litter is the worst kind to be tracked around, this is something you definitely want to put a stop to. When the litter rapidly clumps in response to moisture, there’s nothing leftover to cling to your cat’s fur. 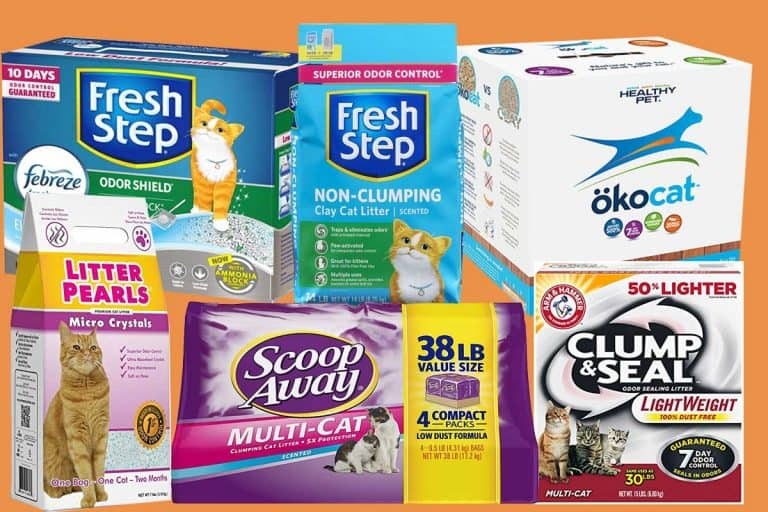 We love Naturally Fresh Quick-Clumping litter for a few reasons. First of all, it clumps fast enough that the liquid doesn’t even reach the bottom of the litter box. Second of all, it’s one of many all-natural, biodegradable cat litters. The next thing you’ll want to do if the litter itself isn’t a problem is to check your litter box. You would be amazed at how much less litter will get thrown around your home with the right box. A high-sided litter box is a great way to keep cats from throwing litter over the edge as they’re digging. If your cat is an over-enthusiastic digger, a litter box with high sides may be all that you need. Just keep in mind that young kittens and older cats will have a hard time getting in and out of this type of box if it doesn’t have a low entry point. We have a full review on Nature’s Miracle High-Sided Litter Box here. The PetMate Jackson Galaxy Giant Litter Pan is perfect for large cats and for keeping litter where it belongs. Its sides are 10 inches in height with a 6.5-inch entry point for easy access. Top entry litter boxes work in two different ways to contain litter. First of all, they have extremely high sides so your cat can’t kick anything out as he digs. Secondly, they have a rough screen on top where the cat has to step before getting out. This screen helps clean your cat’s paws and the litter falls right back into the box. Cats love to fling litter towards the corner of their litter pans. For that reason, if you have a corner litter pan, there’s really only one direction for her to fling her litter. And, since most corner litter pans have high sides along the walls, it will help keep litter contained. We have a full review of the Nature’s Miracle Corner Litter Box here. The Smart Cat Corner Litter Pan has high sides and one other feature that will help keep litter contained. The lower entry point is sloped towards the litter so anything that falls as your cat exits the box will slide right back inside. Another reason cats have a tendency to dig around a lot is that they’re looking for a clean spot to go. This can then cause litter to leave the box which then gets tracked throughout the house. Because an automatic litter box cleans even when you’re not there, it will keep the pan clean so that your cat won’t need to do so much digging. If you have an older cat or a kitten, you may not be able to use a top-entry litter box that has a built-in litter trap. Fortunately, there are other litter boxes that have these anti-tracking features. As you can see, the PetMate Clean Step Litter Dome requires cats to walk down the ridged steps on their way out of the box. This removes litter from their paws to keep it off your floor. The truth is, even by changing your cat’s litter and litter box, you still may have some issues with litter leaving the pan. To keep it from getting tracked through the rest of your home, however, there are some things you can do. One of those things is to get a litter box enclosure. These are designed to hide your cat’s litter box but are also great for preventing tracking. They also have passageways in which your cat has to travel to leave so you can trap litter before it escapes the enclosure. As you can see, the Way Basics Eco-Friendly Cat Litter Box forces cats to walk over their litter trap so the granules don’t find their way into the rest of your house. Plus, this one is made with pet-safe materials. You may also want to check out our post on wood litter box cabinets which are both functional and beautiful. A less-expensive option to getting a litter box encloser is to find a large storage bin or even a cardboard box in which you can place the litter box. This will keep the litter from making it too far. Plus, it’s easy to dump clean litter from the larger box back into the cat litter box. This clear plastic under-the-bed storage container comes in a pack of two so you can use one for each of your litter boxes. If your cat has long fur, they likely have furry feet as well. That makes them great at picking up litter and tracking it all over the house which is not so great for you. To prevent that, keep your cat’s feet trimmed. We recommend using hair clippers for this as they’re far safer than scissors, especially if your cat doesn’t like their feet being touched. As long as you properly introduce the clippers to your cat, she should tolerate it well. Hopefully, some of these other tips have worked and you have limited the amount of litter that leaves the box. 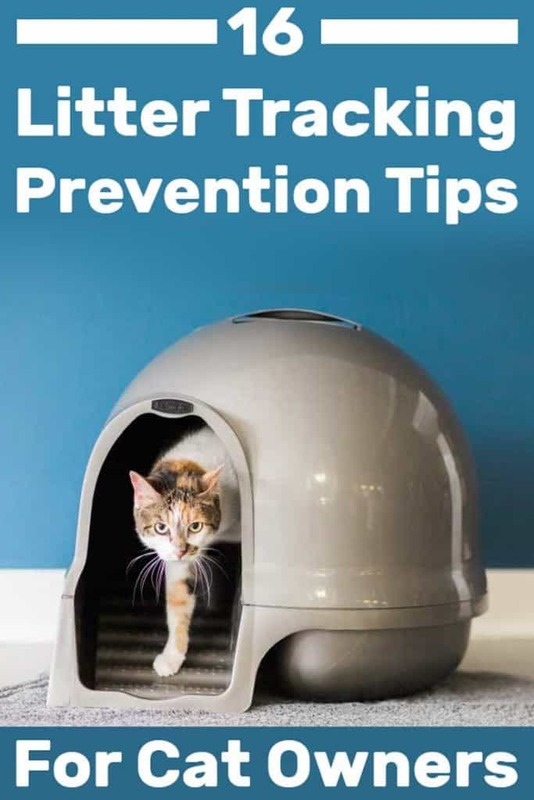 If not, the best thing you can do to keep litter from getting tracked around the house is to clean the area around your cat’s box as often as you clean it. Keep a broom and dustpan or a small non-electric vacuum near the litter box. Then, make it a habit to clean around it at least once a day. This will help keep the litter from making it too far beyond the pan. For the over-enthusiastic digger, none of these other tips may help. So, you may want to limit the amount of litter you have in the box. With less litter in the box, there’s a lower chance of it getting thrown overboard. You can usually get away with 1.5 to 2 inches of litter. If you find there’s a lot of waste sticking to the bottom, you may need to fill it a little deeper until you find the sweet spot. Once you find it, go ahead and mark around the inside edge so you know how much litter to add. Litter mats are specially designed to trap stray litter to keep it from getting tracked around your house. They have soft surfaces that gently remove litter from the bottom of your cat’s paws. Most of them also have removable tops so you can dump the trapped litter back into the box. The KAG litter mat has a honeycomb design to trap litter particles and is waterproof. So, if your cat decides to use it as an extension of their litter box, cleaning it is as easy as hosing it down. When your litter box is on carpeting, it’s easy for litter to become trapped in your carpet fibers. Over time, these can work their way back to the surface and end up all over your house. For that reason and others, we recommend placing your cat’s litter box on a hard surface. This will also make it easier to sweep around it to keep the area clean. You should be scooping your cat’s litter box at least once per day. If you want to try an easy way to reduce litter tracking, considering cleaning out the box two to three times a day instead. Like with an automatic litter box, this provides a clean area for your cat to go in so he’s less likely to dig to find the perfect spot. Want More Litter Box Cleaning Hacks? Now you have 16 ways you can keep your cat’s litter where it belongs. Hopefully one of these will solve your problem so you can spend more time enjoying your cat and less time dealing with litter that’s been tracked throughout the house. If you want more tips and tricks to help you keep your litter box clean, check out our list of 27 litter box cleaning hacks! It’s packed with everything you could need to maintain a pristine bathroom area for your cat. 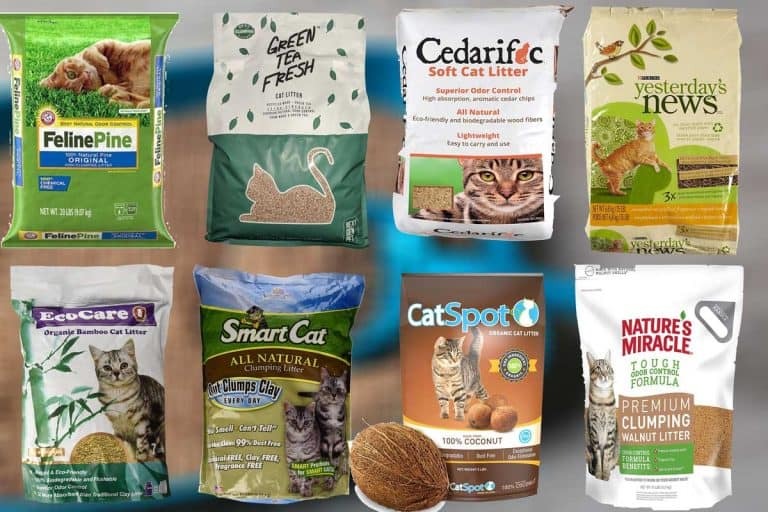 What Can You Use as Emergency Cat Litter?